Flora Dane is our main character, kidnapped for 472 days but she survived. Now a vigilante she seeks out predators, needs to find girls who may have went through a similar ordeal. Flora is on a mission, the police don't know what to make of her. Sergeant Detective D. D. Warren is on the case, FBI victim specialist Samuel Keynes has turned up and D. D. is not impressed, with Flora or him. Trouble Flora certainly is but has she finally bitten off more than she can chew this time in her pursuit of predators? Oh this story really grabs you from the opening chapter, in italics we are transported back to when Flora was kidnapped and the start of her 472 day ordeal. We then flip to present day and Flora is on a mission, target acquired, she knows them when she sees them and presents them with prey they can't resist. The chapters then flip to the investigating officer, Flora present day and back to Flora's time in captivity, always in italics so you know the timeline has shifted. The time line shifts and characters switching in each chapter actually works really well and has been written so it flows perfectly. Sometimes with timeline jumps and switching between character scenes you can get confused, not so with this book. The writing is so vivid at parts, you can feel the claustrophobic pull, your heart kicks up a few beats as you live through the experience with Flora in her captivity scenes. A girl who was normal and happy, turned into what she is now to survive getting through each day. You find yourself rooting for her and really vested in the story and outcome. As I said you are pulled in from the first chapter, the book keeps you on your toes and surprises you along the way, well it did me. 4/5 for me this time, I think I will go back and buy the first seven books in this series as I enjoyed this one so much. Thanks to the publisher for sending me a review copy in exchange for an honest review. Kathleen is our main character, sixteen years old and treated like the family skivvy. Her step mother hates her, her step brother is a gambler but treats her nice, her step sister is just like her mother and dad is a nice guy but basically a door mat. When something happens to rock the family Kathleen finds love in an unlikely place and one that causes scandal in the family. Will Kathleen ever find her happy ever after, especially when Irene, her step mother, is hell bent of making her life miserable. This book is not what I was expecting, I was pitched it as if I like Martina Cole, Kimberley Chambers I would enjoy this. Whilst the book is a good read, it is nothing like the two mentioned authors. By comparing them to those gritty crime writers it leads you to believe there will be murder, scandal, drugs, gangs etc. This is a tale of a Cinderella style family, Kathleen is young, sweet, hard working and her step mother and sister are horrors. She is worked to the bone and verbally abused, her dad just wants peace to allows it to happen. She wants love and acceptance but so much seems to be against her, the reader sees her go on a journey of personal growth and discovery. The timeline is set in the mid 60s so the choices made by Kathleen at that time would be quite scandalous. 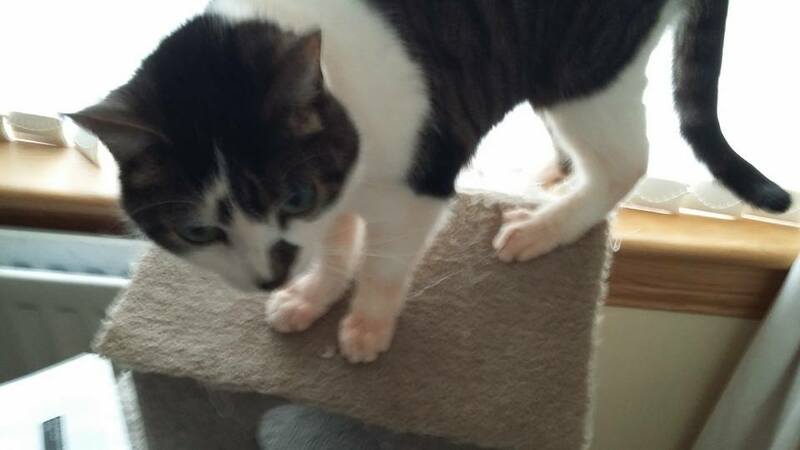 She is however a sweet girl looking for acceptance and love, coming from a home where she has very little of it. Things go from bad to worse when Irene receives a devastating blow and Kathleen discovers just how much hate one woman can have for her. The story goes along at a steady pace, whilst there is nothing that puts you on the edge of your seat, the writing is well done and engages the reader. This is my first time reading this author, I would read her again. 3/5 for me this time and I would suggest readers read her with a blank slate and take it for what it is rather than go in thinking she is like x,y,z other authors, I think you will enjoy the book much more! 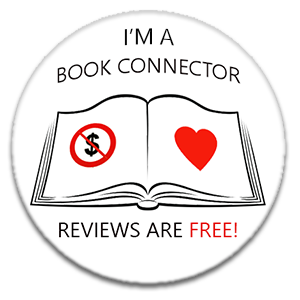 Thanks to the publisher for providing me with a review copy in exchange for an honest review. When a series of young women are discovered strangled and mutilated in a Glasgow park, it is up to DCI Lorimer to find their killer. He enlists the services of Dr Solomon Brightman, a psychologist and criminal profiler. A young woman's body is found mutilated and strangled in a Glasgow park, she isn't the first and the police know they need to find and stop the killer before another woman is killed. DCI Lorimer is in charge and enlists the help of Solomon Brightman, a profiler and psychologist. The two work together and with the help of a witness they uncover significant information on how the killer is operating. Before long, it appears no one is safe, young women or people involved in the investigation! It has been a while since I read Alex Gray, it is always good to read a story set in or around places you know, well I think so anyway. The chapters are relatively short which I generally enjoy in books, especially when you are working and can't spare long periods to read some days. The prologue kicks off with a murder so your attention is grasped immediately, the characters however took me a bit longer to warm up to. There is plenty to keep your interest peaked, the police investigation goes along at an acceptable pace and Dr Solomon does some digging at the same time. Clues pop up, some twists and turns and overall it was a good read. I would read this author again if I came across her, I won't be rushing out to buy up the whole series though, 3/5 for me this time. Labels: 3 stars, Alex Gray, crime, Glasgow, murder, Never Somewhere Else, Scotland, Sphere. 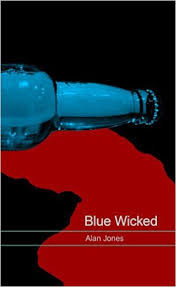 'Blue Wicked' is a Gritty thriller set in the south side of Glasgow. Eddie Henderson finds himself as the unlikely investigator with information that there's a serial killer targeting the substance dependent underclass who inhabit the notorious Glasgow housing estates. The police force ignore his warnings but one young detective believes him and she helps him search for the truth, despite putting her own career at risk. Their desperate search for the truth on their own proves Eddie right and sparks off a massive manhunt, with Eddie and Catherine, the young detective, at the forefront of the investigation. The book contains a fair bit of strong language and Glasgow dialect, and has some very violent passages. The prologue sets the scene for the horrors to come, we open with a rather gorey scene of animal torture. Introducing Eddie, a veterinarian who helps out the SSPCA with cases such as this as he specializes in animal abuse and poisoning. Eddie crosses paths with DC Catherine Douglas looking into the abuse cases and soon pair up as the killer branches out from animals to humans. An up hill battle commences to get the police to head Eddie and take notice of his findings to catch a sadistic killer before they can strike again. You all know I have major issues with animal cruelty, I was forewarned before reading this and therefore I am giving you all a heads up. Sadly, because of the way many killers work it is a necessity to the tale and gives the story realism. The chapters are not too long which is always a good thing in my opinion, it allows the reader to nip in and out, especially if working or don't have time to read in one sitting. As the book is set in Glasgow some of the characters speak in Glaswegian slang, glossary and translations can be found at the back. Some of the language may be very offensive to some readers, the language is explicit and swear words are frequent with some of the characters, the C word being just one of them. The scenes are pretty gorey, I have read many horrors, crime and thrillers but some moments in this really had my stomach going. The method of killing I found quite unique, the choice of victims fairly smart on the part of the killer. As much as the reader is horrified, you are compelled to go from page to page for the next horrific crime and hope the killer will be brought to justice before they can strike again. The glossary at the back of the book is really helpful however I think it would be better at the front as I didn't find it until after I had finished. Glasgow slang is fine for me however for many readers not familiar with it, this would be beneficial at the beginning of the book. A really good read, also featuring quite a bit of Glasgow which is an additional plus for readers who enjoy reading about other cities. If you like your crimes gritty and your murders cruel you will love this book! This is my first time reading this author & certainly one worth keeping an eye out for, I would certainly read him again just maybe not when eating! 4/5 for me this time, thanks so much to the author for providing me with a copy in exchange for an honest review. All Harry Potter wants is to get away from the Dursleys and go back to Hogwarts School for Witchcraft and Wizardry. But just as he's packing his bags, Harry receives a warning from a strange, impish creature named Dobby - who says that if Harry Potter returns to Hogwarts, disaster will strike. But each of these seem minor annoyances when the real trouble begins, and someone--or something--starts turning Hogwarts students to stone. Could it be Draco Malfoy, a more poisonous rival than ever? Could it possibly be Hagrid, whose mysterious past is finally told? Or could it be the one everyone at Hogwarts most suspects... Harry Potter himself. This is the second book in the series, I would recommend reading the first, whilst you can pick this up and read it by itself, you would enjoy it more knowing the 1st story. Harry can't wait to get back to Hogwarts, the Dursley's are being their usual horrible selves & a wee house Elf warns Harry he can't go back to Hogwart's. Lots of things seem to go wrong as Dobby predicted, Snape seems to really hate Harry, their new Defense Against The Dark Arts teacher is fame loving nightmare and something horrendous is loose in Hogwarts. A monster that was once loose before & a student died is back, suspicion falls on Hagrid and Harry needs to find out who or what is responsible. This year we also meet Ginny, Ron's little sister and her first year at Hogwart's, Malfoy's father features a bit more and we see where young Draco gets his attitude from. Another tale of friendship, boundaries, secrets, love & bravery as the youngsters try to piece together more of the history and happenings at the school. I love these books, this is a re read for me, if I could shut off the adult world for a week I would read these back to back. If you haven't read Potter before I would certainly recommend, if you have I would tell you to re read it. A great story with ups and downs, as much for the mature reader as the young adult, 5/5 for me this time! I have read this book about three times and cannot believe this is the first time I have reviewed it! Harry Potter lives with his aunt, uncle and cousin, the Dursleys, Harry has been an unwelcome guest since he was put upon the Dursleys after his parents died. Harry is unliked, unwelcome and above all just an ordinary boy or so the Dursleys would have him think. But as Harry's birthday approaches, he gets letters informing him he has been enrolled in Hogwarts School for witches and wizards. Life as Harry knew it is about to change, secrets about his family, who he is and learning just how dangerous being Harry Potter can be. Oh I love this book, a tale of friendship, love, family, honour, secrets and magic, whats not to love. The book introduces us to poor Harry, a lovely boy who is treated so poorly by his family, they make him sleep in a cupboard under the stairs and have never gave him any kind of love or even respect as a human. Harry is then taken to a world where he is famous, a world full of magic and mayhem where he meets friends and finds out all about the magical world of wizardry. This book is loved by kids and adults alike, I am currently re reading the whole series, Rowling has created some fabulous loveable and equally horrid and loathable characters. 5/5 for me, this book is a keeper for me and I will return again to it in the future. We open in the present, Grace is entertaining Jacks friends with a dinner party at their home. The opening chapter is very discreet, we are told of Jack and Grace's perfect meeting, how long they have been married & everything seems wonderful. The reader picks up Grace is very nervous but no obvious in your face reasoning why, my spidey senses where up though. We are told of Millie, Grace's seventeen year old sister, who has Down's Syndrome and who Jack has agreed to her coming to live with them once she is eighteen, everything is perfect. We flip between the present and past, Grace meeting Jack, perfect Jack, polite, attentive and accepting of Millie. As we flit between the two time lines it becomes apparent life isn't quite as perfect as it first seems and Jack and Grace are hiding a horrendous deadly secret. I found this book hard to put down, I think depending on your background the more you will be drawn into Grace's world. I knew very quickly something was wrong and when it became apparent what was happening, how I loathed at least one of the main characters and became frustrated by others. You are desperate to find out what is truly going on and then enraged to be kept waiting for the outcome, what is going to happen, will there be an outing of it all. I think Paris has done fabulously well to draw in the reader, engage them and handle some very tricky subject matter. So many people have loved this book, some not so much and you can appreciate how it can differ for so many. I was completely engaged, I couldn't put the book down, I went through a roller coaster of emotions and found the end came far too quickly for me. The author does what any good author should, leaves the reader wanting more, very impressive and packing quite a punch for their debut. 4/5 for me this time, I would absolutely read this author again, B A Paris is one to watch out for. Thanks so much to NetGalley and the publishers for giving me a copy of this in exchange for an honest review! First off, I need to say this is not a book I would normally be drawn to or pick up myself. I am so so glad RealReaders sent me a copy of this, otherwise I would have missed a great into to a new author (for me) and a new series. I loved birds as a child and enjoy viewing them as an adult but generally wouldn't pick up a book that features them so much. Inspector Domenic Jejeune is relatively new to the small English town of Saltmarsh and finding his feet among the people. When an ecological activist is murdered, Jejeune needs to get to the bottom of it, but small towns have their secrets and not everyone wants to tell all to our officer. As the investigation progresses Jejeune gets to indulge in his love of birds and try and piece together possible motives and suspects for the murder. I really enjoyed reading the bird aspect of the novel, so much so afterwards I read up a bit on the kind of activities of the spotters mentioned in the story. The murder itself was well written as was the show of how the inspectors mindset was focusing. One of the things I didn't like was how sometimes the characters would be called by their first name, other times by their surnames. I personally found this quite confusing at times and for the first while had to kept checking which character it was I was reading about. I didn't see the twists coming which is always a good thing although I was a bit surprised at how quick it wrapped up and how it all played out. An impressive new way of going about crime, certainly for me. 3/5 for me this time, thanks so much to RealReaders for sending me a copy to review in exchange for an honest review. I hadn't read this author before but I certainly would read him again and more in this series.